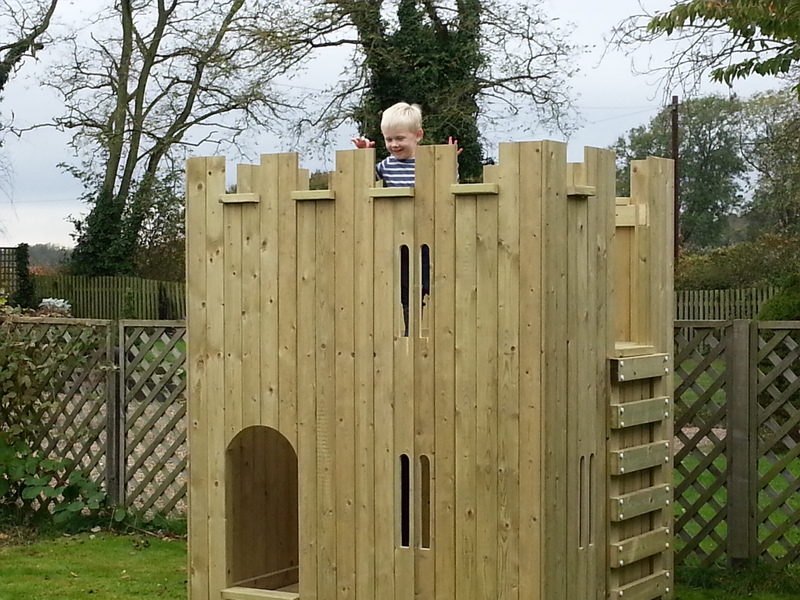 We are pleased to announce that we are now supplying children's wooden playhouse castles! In a classic castle design built over two floors where your children will have plenty of fun in this wooden playhouse! Ideal for your garden this fantastic product is made from timber which is pressure treated so it is designed to be long lasting. As well as being pressure treated the timber has 'eased edges' which means that the corners are round and not square. The approximate dimensions are: 2.2 metres high x 1.8 metres wide x 1.2 metres wide. Order yours NOW on 01472 350151 or use our contact form for more information! See oue Special Offers pages for further details. * delivery charges may apply depending on location.